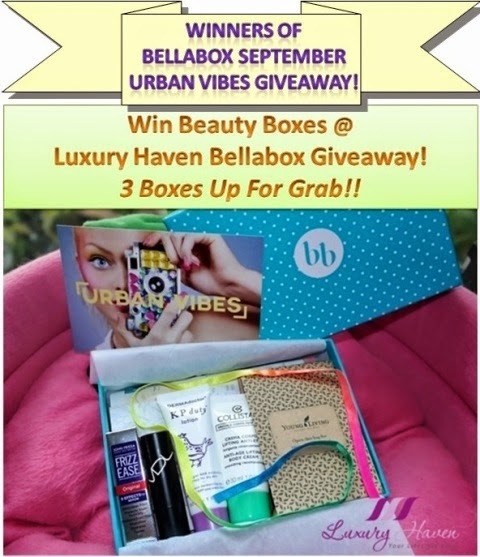 You are here:Home » Online Shopping » Bellabox September Urban Vibes Giveaway Winners! You've each won yourself a September bellabox! If you haven't read my earlier post on bellabox, hop on to Bellabox Beauty And Skincare Treats Review This Quarter to discover some fabulous cult brands! Thank you bellabox, for the awesome beauty treats! Cindy, looking fwd to your email! Congratulations to the winners! I am sure they will enjoy the Bellabox Beauty kit! aww congratulations to the winner, so lucky! such a fun box. Congrats to the winners. That looks amazing! Congrats to the winners!